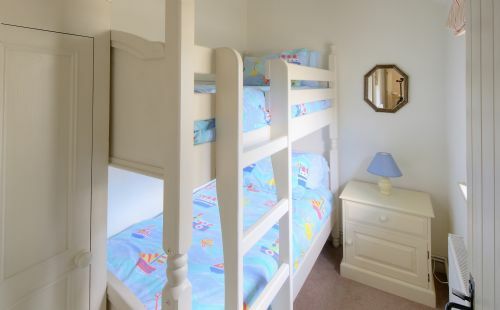 This brilliant cottage cluster set just outside Bude on the north Cornwall coast not only has all the ingredients of a very successful family holiday at any time of year but is a veritable self-contained ‘village’ of fun for adults and children alike! Picture the scene…. You’ve settled into your suitably seaside-chic cottage, the little ones have burned off all their pent up energy from the journey in the indoor or outdoor playrooms and pools and have settled in for early night, a delicious gourmet ready meal has been delivered to the cottage and is warming in the oven and you are soaking in the hot tub… perfect! There are 18 picture-perfect residences to choose from at Broomhill (view them all here) ranging from Cornish cob barns, stables, the Housekeepers Cottage, the Manor House Apartment and Gate Keepers Lodge. All have been converted and upgraded in a fresh, contemporary style, whilst keeping their character and being especially well kitted out for babies and toddlers, from cots, high chairs and stair-gates to plastic crockery and black out blinds (full list in Fast Facts section). 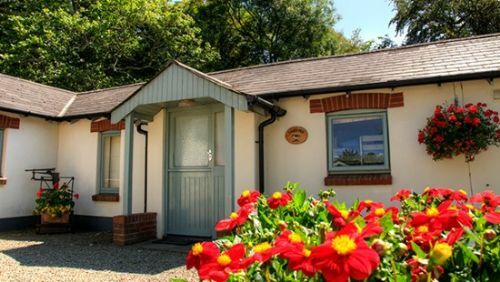 The cottages are arranged in traffic free courtyards which are separate from designated parking areas and the whole village is down a private drive, ½ a mile from the road, making it all the more relaxing for families to roam freely. 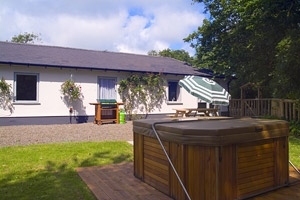 Several of the cottages have enclosed gardens for children to play and hot tubs for parents to de-stress in soothing bubbles. 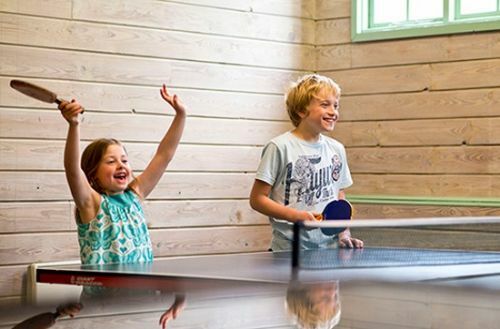 Besides the comfort of the cottages, it’s all the extra facilities at the family-run Broomhill Manor that make holidays here with little ones so stress free. 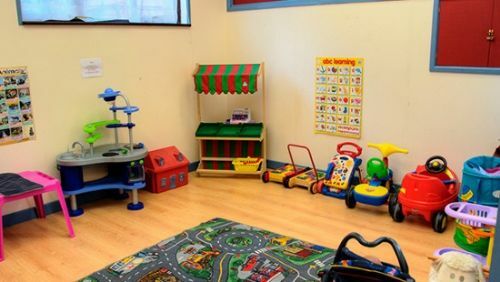 A big play room, dedicated to under 6’s, is full of early learning toys and books, plus there’s a games room for older children with a pool table, table football and table tennis. 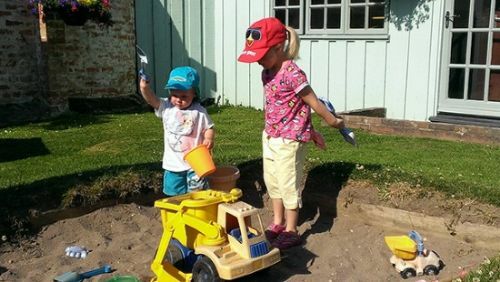 In the car free village, children can free range to the outdoor play areas and parents will struggle to tear them away from the swings, slide, climbing frame, sand pit, trampoline, play fort and Wendy house. An indoor swimming pool is heated to a toasty, toddler friendly 30 degrees and in the warm summer months there’s a heated outdoor pool as well. 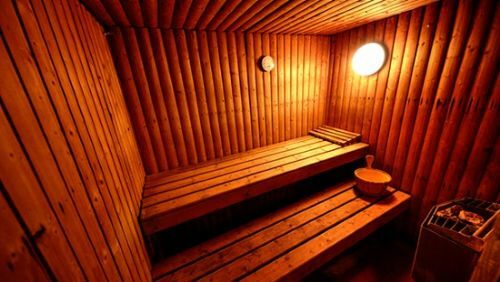 Grown-ups can relax in the sauna or Jacuzzi, or have a work out in the gym, and mums can pamper themselves with a variety of spa treatments. When it comes to eating and drinking at Broomhill, the in-cottage dining is always a big hit, with local chef Nicky lovingly preparing a range of dishes which are delivered to the door, all ready to be popped in the oven. In July and August, fresh croissants are available each morning and 3 local supermarkets will deliver groceries to the cottages. There’s also a private bar at Broomhill which is family friendly and features a full size snooker table as well as a selection of board games. One other extra facet to Broomhill Manor is the professional riding stables onsite, where toddlers can have their first pony ride and older children can book lessons, hacks and beach rides (for over 14s) or take part in gymkhanas. Broomhill Manor comprises 17 cottages and 1 apartment sleeping 2 to 6 people and all with room for at least one cot, which can be provided. Sandpiper Cottage (sleeps 6 plus a baby) is one of six cottages converted from the original Stable Courtyard. The cottage is all on one level, with comfortable sofas, large HD TV, DVD/Blu ray player and CD system in the airy, contemporary living room, a dining table for 6 and a fully fitted Shaker style kitchen with a cooker, dishwasher, fridge/freezer, microwave, kettle and toaster. Besides the front doors opening to the sunny courtyard, patio doors lead from the living room to a private, enclosed garden with a hot tub, table seating and a gas-fired Australian BBQ. 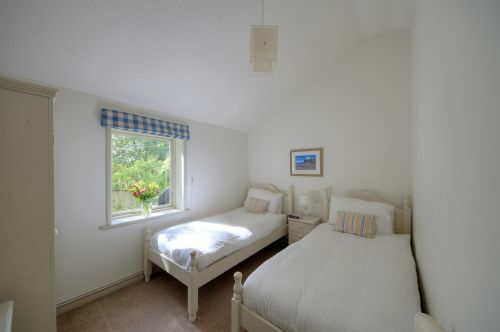 The cottage has three bedrooms: one with a double bed; one with twin beds and space for a cot; and one with bunk beds. 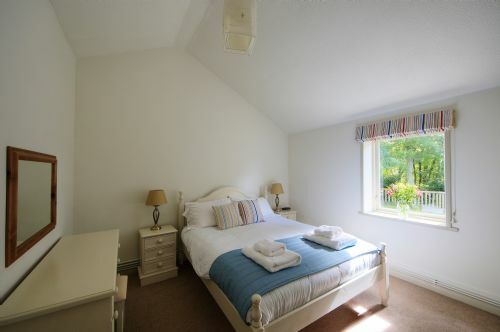 Beds are made up with fresh white cotton linen and fluffy towels are included. 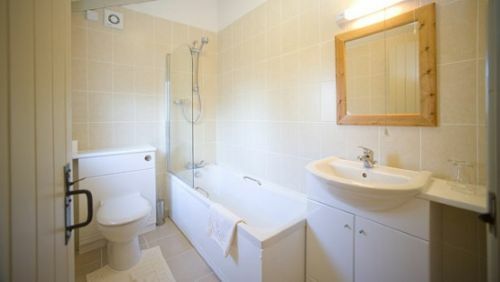 Sandpiper Cottage has a fully tiled bathroom with a bath/power shower and a heated towel rail. 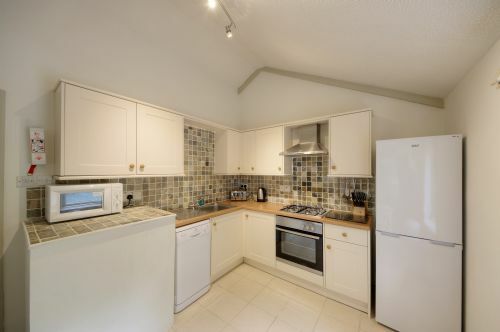 The Cottage has fully controllable central heating throughout and free Wi Fi. We all thoroughly enjoyed our stay at Broomhill. Suitable for all ages.Plently to see and do ,whatever the weather.Conveniently situated for all ones requirements. We would certainly make a return visit. Clean, comfortable and adequately equip for home from home stay. Location peaceful and friendly accommodating owners. Lovely few days in a beautiful place. My family of four adults , a toddler and a baby stayed in the Sandpiper. We were pleasantly surprised by the space it had. It was extremely well equipped and spotlessly clean. This was our third visit to Broomhill Manor and we will be going back. We used all the facilities and the children loved the pool, playroom and outdoor space. My two sons enjoyed the bar and playing pool and the hot tub. A great place for all the family! The owners are very friendly and helpful with any request. We had a lovely time in a beautiful place. Another fantastic stay at Broomhill. Pools are both lovely and the playroom and playgrounds were well used by our kids 8 and 3. Lots of lovely walks for our dog (on the doorstep) and a great choice of breathtaking beaches to take her to, owners were very welcoming to our dog (and us!) - thank you. Despite having young kids we managed to have a some time out, because there is plenty to do. Once again we have had an amazing time at Broomhill. This was our 6th stay and we brought additional family this year hoping they would love it as much as us. It didn’t disappoint, the cottages were spotless and homely, with all five children finding plenty to do even when the weather let us down. Both families have rebooked on departure for 2019 not once, but for two visits next year. If you like Cornwall and in particular Bude then this is the place to be. Thank you Alan and Linda and all the broomhill team, see you next year. We loved every minute of our stay at Broomhill Manor this summer. The facilities are excellent and location perfect. We will definitely return. We had a fantastic family holiday with the activities and facilities covering all tastes and ages. The surrounding area was lovely and we would defiantly all recommend to others. Definitely up there as one if not our best family fun filled holiday. We loved our recent stay in Sandpiper. The facilities on site were great, and perfectly balanced between peaceful for the adults and plenty to keep our 3 and 5 year old happy. The pools were lovely, and the play room and play areas went down really well with the kids - the setting was great too with plenty of safe space to run around. Customer service was fantastic - one very minor issue we had while there was rectified promptly, professionally and happily - we were very impressed by this as it's how these things are handled that is the mark of a great service and holiday experience. Right balance between availability of help if needed but space and privacy if not. Location was fab - five minutes from several lovely beaches and easy road access. There's a very well stocked local information kiosk in the grounds that had a lot of very welcome and useful recommendations and info on local beaches / attractions. The cottage was really well furnished and had everything we needed for a comfortable stay - kitchen well equipped, lovely comfy beds and the garden / BBQ / hot tub was great. Our only comments for improvement would be that the beds still had winter bedding on in June, so we did get a bit hot at night - could have benefited from summer tog bedding. Other than that a lovely stay and we hope to go back next year! Thank you Broomhill. Very clean and tidy cottage with all the facility's you need for your holiday, The bedding is lovely and you even get towels provided. Teas and coffee with scones ready for your arrival in your cottage. The estate garden is really lovely to have a walk around or swimming in the pool, My family love this place and we highly recommend it. With two children aged 17 and 5, it's not easy to find ideal accommodation, facilities and location to keep everyone happy. We stayed at Sandpiper so that our 5 year old could enjoy staying in a bunk bed for the first time and our 17 year son could benefit from having his own room. 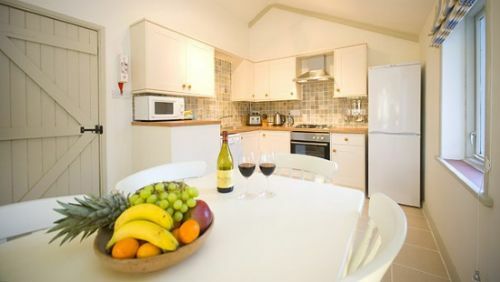 The cottage is spacious and very well presented, with everything we needed for self catering. The hot tub was brand new and easy to use and the enclosed garden was perfect for our 5 year son to play outside and enjoy the outdoors. We didn't get chance to use the BBQ but we would definitely use this when we return again for a longer stay. Thank you so much Linda and Alan for going the extra mile, helping to make our stay so enjoyable and relaxing. Stayed in Sandpiper for a glorious week of weather with kids 7 and 2. Lots to do for both ages, riding was very popular with our oldest. Used both pools, the games room and all the facilities a lot. thanks! This is our 5th visit to broomhill and like every stay before it was truly wonderful. We had three cottages this year, Sandpiper, Swallow and Woodpecker with three generations of our family and everyone had an amazing time. Alan and Lynda always ensure our stay is relaxing and stress free. Great facilities and lots of recommendations for places and restaurants meant that we could concentrate on enjoying our holiday. If your staying in Cornwall this is the place to be, see you next year ! We had a lovely stAy with our 8year old daughter and our dog. The bar and sky tv were a great asset as the British open was on and lovely snooker table. Games room for kids was good. Hot tubs and ban great. A wonderful place to holiday! We throughly enjoyed our stay at broomhill. With a young family (4yr old and 10wk baby) we had everything we needed in the cottage and it was comfortable and the garden perfect for the dogs. 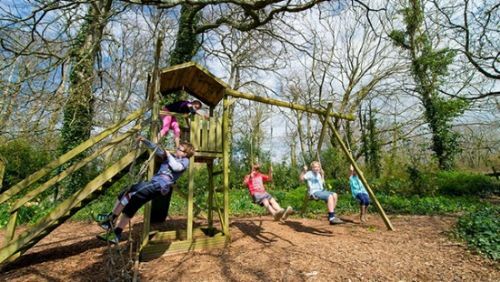 The grounds were spacious and beautiful, the trampoline and adventure playground, tennis court and swimming pools were brilliant and meant that we could enjoy a day on site with the children. The pool was warm and my baby enjoyed her first swim! We were made to feel really welcome and nothing was too much trouble, the cream tea and dog biscuits on arrival were much appreciated. A great location too with a choice of great beaches and great places to eat. We will be going back as this place is hard to beat! We have had such a lovely week staying in sandpiper, it was perfect for our family (little girl ages 3 and boy aged 1) and even had a hot tub for us in the evening! Broomhill manor has such wonderful facilities for families and we made the most of them. We were blessed with wonderful weather and had a fantastic time! Thank you! We tend to dich the car for the week when we stay at Broomhill and walk down to Bude when we need anything. Our girls love the riding stables and have lessons and do stable management, real life my little pony!! It's fabulous for all of us as they are busy and we aren't!! Broomhill manor is a real haven and we've had our best holidays there. Lovely cottage. Very accommodating owners. Lots of lovely walks around the well kept grounds. Will be back. 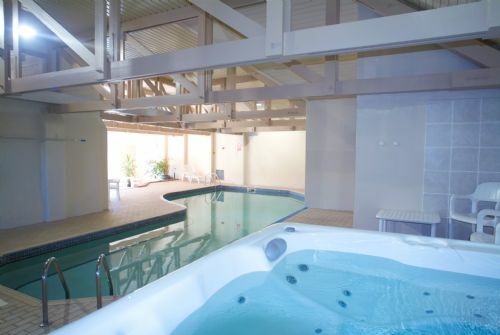 Great facilities for our kids, Clean and hot Hot Tub and swimming facilities which the kids loved. 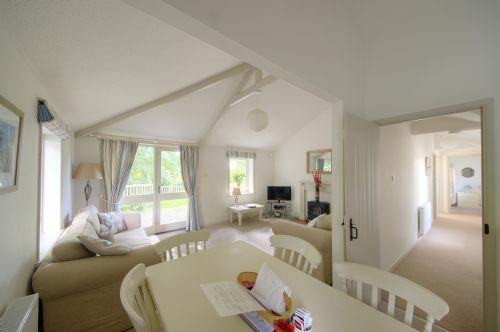 Its close to Bude and surrounding beaches. Staff were very friendly and helpful ( I forgot my laptop charger and it was kindly posted back to me ) and made us and our dog feel very welcome. We all had a very good time the children had the best time ever but could not get the pony in the car thanking all the staff it's the small things that makes a good holiday. Kind Regards S A BARRETT. We had an excellent week at Sandpiper at the end of August. We are a family of 5 and could not fault the accomodation, which was spotless and very comfortable. The hot tub was a particular hit before our evening barbecue! The on site facilities at Broomhill catered for everybody. Much time was spent in the indoor and outdoor pools and we enjoyed tennis and horse riding. Good location in terms of driving distance to the local beaches. We could have stayed another week and will definitely return. We could not have asked for more. Sandpiper Cottage was perfect for our little family break. The cottage was spotless and equipped with everything you could possibly want or need. The hot tub in the garden was great and the on site facilities superb. Linda and Alan were the perfect hosts. Broomhill Manor is a unique and delightful place for all family groups. We can't wait to come back. A fantastic stay. Thank you! 1st time at Broomhill, and 9-month old daughter's first holiday. We will be back. Thanks for a wonderful time, Alan is a great and informative host. We have been staying at Broomhill Manor on and off for the last 10 years and this was our 9th visit. 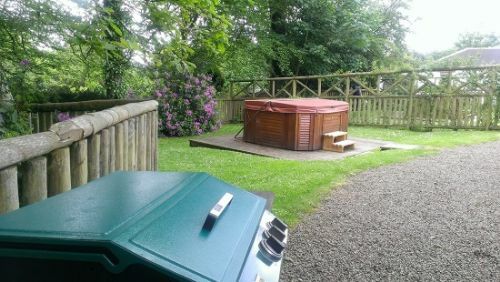 We have stayed in a number of different cottages over the years, preferring the ones with garden hot tubs as the whole family enjoy having a soak while watching the stars. The cottages are always clean and warm and the welcome scones, cream and jam are always appreciated – by the kids at least. I haven’t sampled them for our last two visits – could you please leave them on a higher shelf next time to give me a fighting chance? The grounds are beautifully planted with seasonal flowers and lawns well groomed. 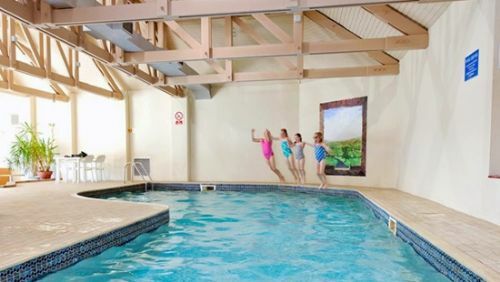 The indoor pool is well used by the whole family and we usually have time to enjoy the bar on a few evenings. Taking a holiday in the UK during October has its risks as the weather can turn for the worst, however we have found the Cornish coast has its own microclimate and we have not been caught out so far. With this last trip, the temperature hit 18 degrees, so T-shirts were the order of the day and we enjoyed the last few sunny days of the year. The weather in land… heavy rain across the country. There are some great places to eat out, while the cottages are fully equipped so cooking for the family is straightforward. BBB’s are provided, but not used – call me too lazy! All in all, a relaxing week and looking forward to returning in 2016. As usual had a great stay - Linda and Alan very accommodating - we want to go back next year!! Plenty do keep the children occupied - horse riding lessons (which the staff were very friendly), games room and the indoor pool. This was our forth visit to Broomhill and we loved it as much as the first. A beautiful, well equipped place that is safe for the kids and relaxing for the parents. I suspect we will go again. Arrived after long journey but relaxed very quickly as so many facilities, including for the dog with a dog bed and bone laid out. Very friendly and helpful hosts and any repairs very quickly attended to. This was our second visit to Broomhill for a family holiday and we would definately return again. The location is beautiful, very close to the sea and local shops. 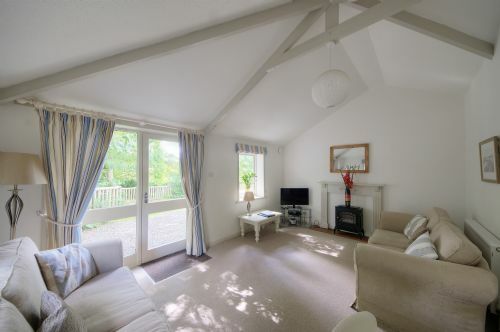 The cottages are fantastic, they are clean spacious and cosy. We felt immediately at home and relaxed as soon as we arrived. 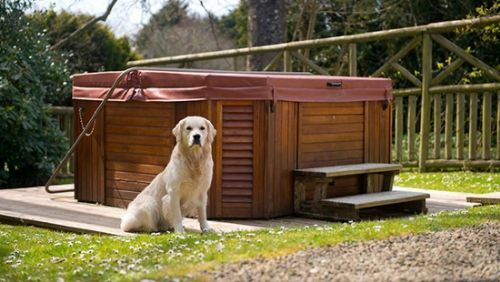 We were lucky enough to have a hot tub this time and this was thoroughly enjoyed by all the family, it was clean warm and perfectly maintained. The staff at Broomhill are wonderful, extremely helpful welcoming and friendly. There is nothing I would change, all facilities were immaculate and we cannot wait to come back. First class thank you we had a wonderful holiday in Bude. The swimming pool and hot tubes are wonderful. We will visit again. The stables were also amazing.